Use agent dashboards to track agent performance displayed along with agent information. Frontend agent dashboards are available under Dashboard tab of support agent profile pages. 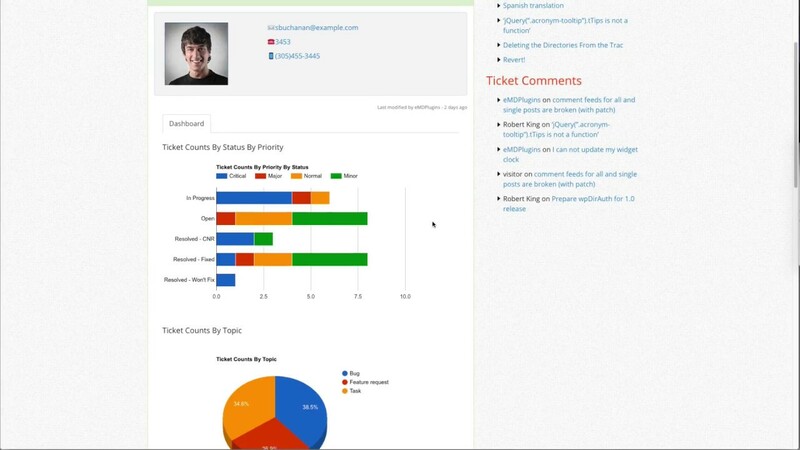 You can use the dashboard charts to track the ticket resolution performance as well as workload of an support agent. All charts are drawn based on the tickets assigned to an agent.